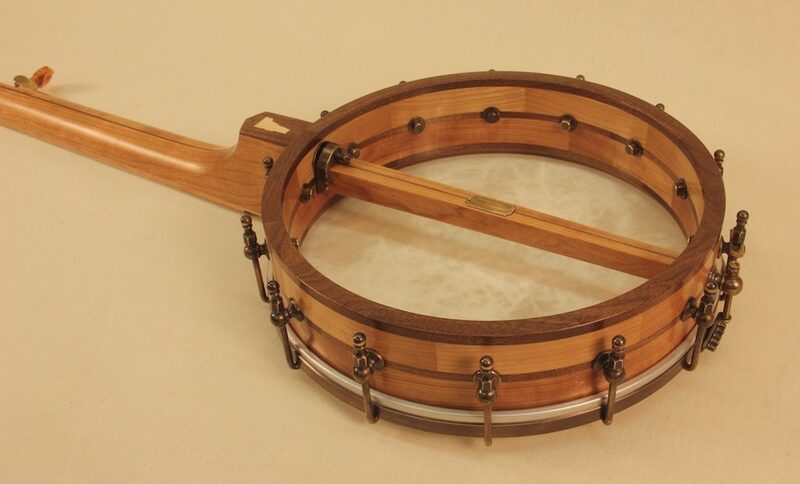 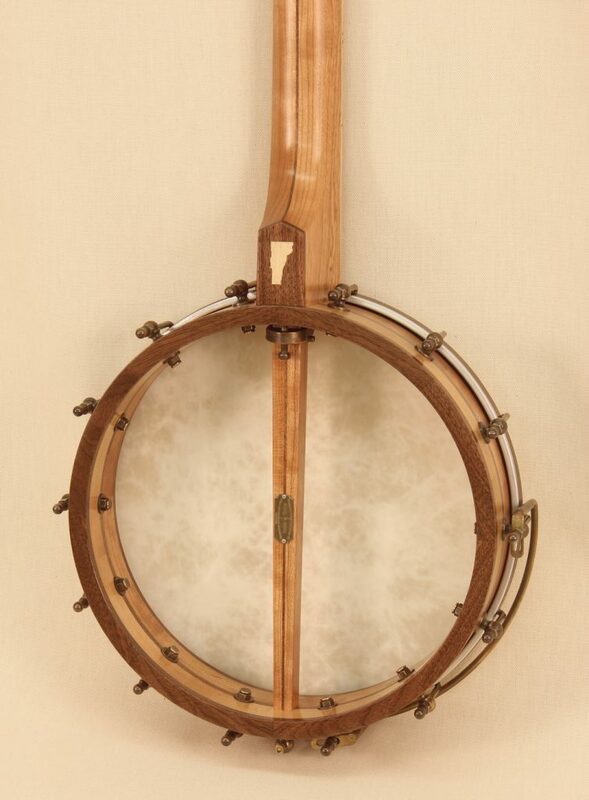 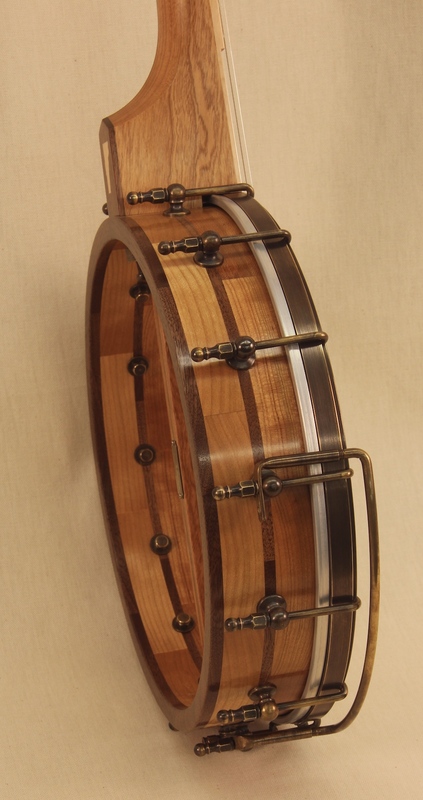 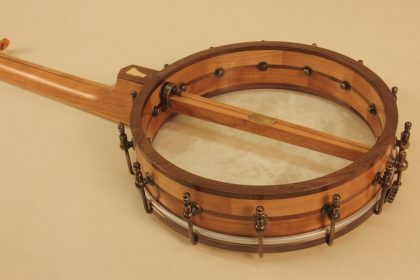 A Vermont native wood banjo made from Cherry, Walnut and Ironwood. 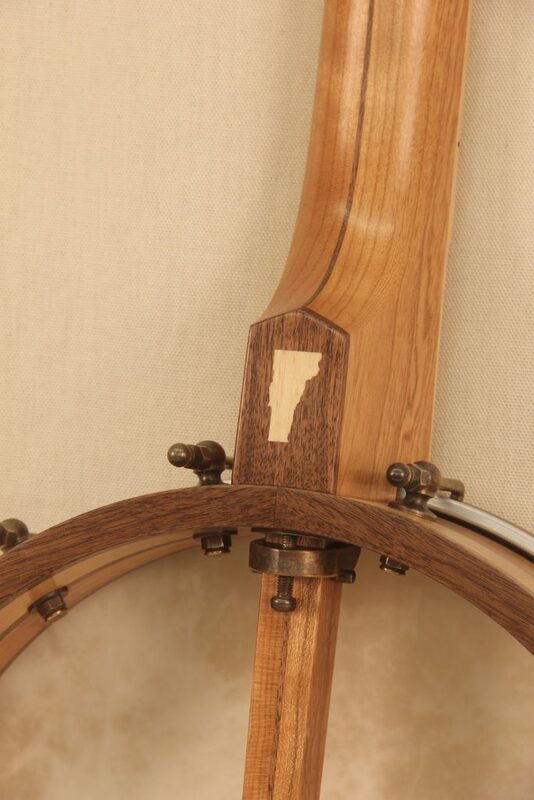 The owner decided on some of the details to pick up on some common themes that we see throughout the state. 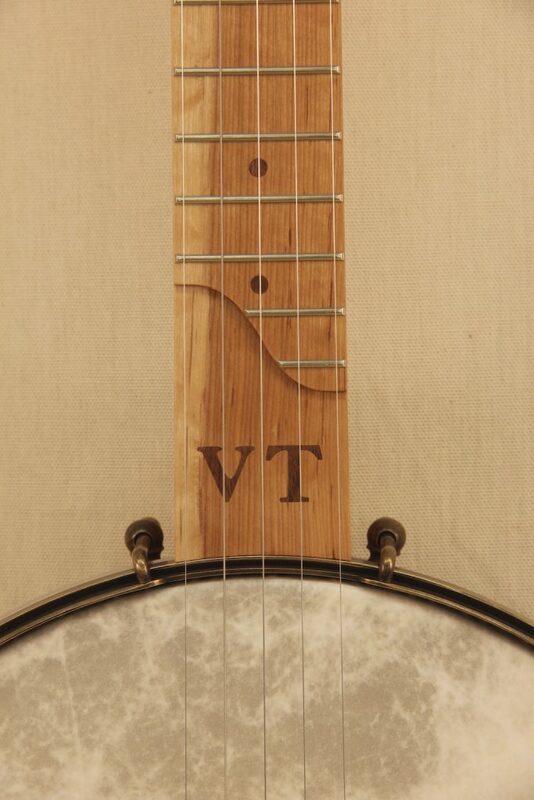 We went with Cherry, Walnut and Ironwood as they are common hardwoods grown sustainably throughout the state and make great sounding banjos. 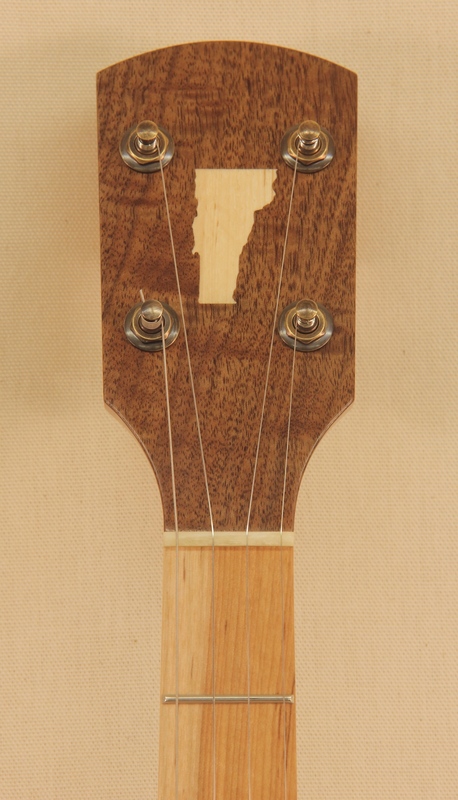 The Fiberskyn head reminded him of the cows that you see throughout the state’s dairy farms (while not having to use a calf skin for the banjo). The amber tuning knobs and maple leaf inlay touched on the maple sugaring industry that is such a large part of Vermont tradition and culture.